TemperaturePro North Atlanta is here to serve all of your home’s or business’s HVAC-related needs. We provide products and services that will keep you comfortable throughout the year. 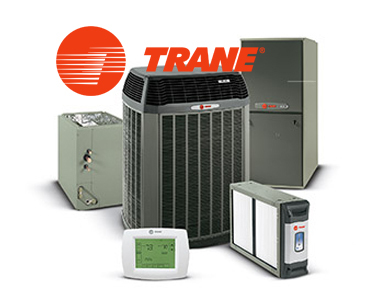 Our technicians are highly trained, NATE-certified, and completely capable of servicing the most complex HVAC issues. Once you call TemperaturePro North Atlanta, you’ll realize we’re the best choice for you; our fast, courteous, reliable service combined with our great prices creates an unforgettably wonderful experience for our customers. Don’t wait; call us to learn more today! TemperaturePro North Atlanta is a full-service HVAC contractor that offers a wide range of heating and cooling products and services to ensure your comfort throughout the year at home and at work. Installation: An HVAC unit is a major purchase with long-term implications, so it’s important to lay a good foundation for your HVAC system’s future. You do that by finding the perfect match between home and HVAC unit. Next, the unit must be properly installed. We will provide a free in-home analysis to find that perfect match. 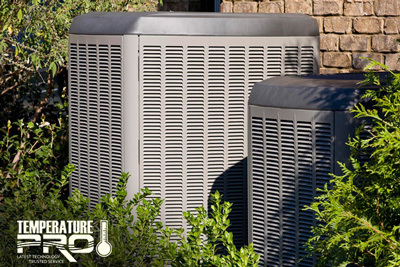 Once the product is installed properly, your HVAC unit will run efficiently for years and years to come. Maintenance: HVAC systems last for many years, however, they must be cared for regularly. Making sure it is running at optimal capacity is an important part of owning an HVAC system. 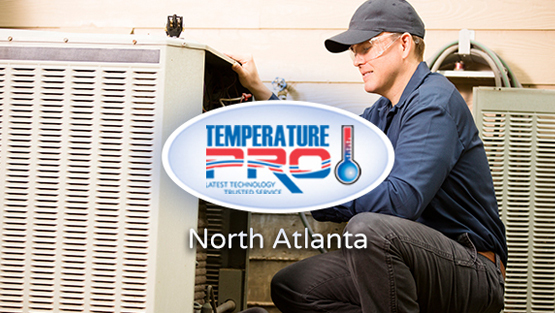 Temperature Pro North Atlanta technicians do more than simply inspect the equipment. 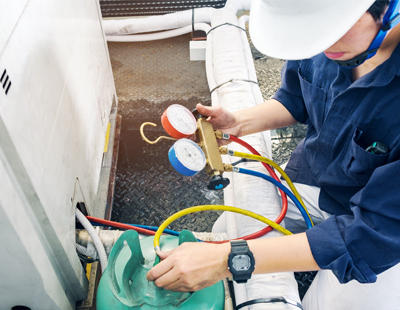 We thoroughly clean the outdoor unit, clean and flush the condensation lines, tubing, and pump, check the refrigerant and gas pressures, and we make the necessary tweaks to get the most out of you HVAC for years to come. Repair: It’s important to have backup plans when things go wrong. TemperaturePro North Atlanta has a reliable repair team that will solve any problem you may face. You can count on us to rectify your HVAC-related issues. Indoor Air Quality (IAQ): One of the most important topics in the world of HVAC is indoor air quality. Breathing clean air is essential to your health. We provide our customers with a number of products that will guarantee improved indoor air quality in your home or business. The air conditioner is an important part of living a comfortable lifestyle here in the South. At TemperaturePro North Atlanta, we understand the importance of this modern convenience and make every effort to provide everything you’ll ever need to enjoy the benefits of cooling systems. You can count on us to walk you through the process of buying an HVAC unit, and we promise to have your back if things don’t go as planned. 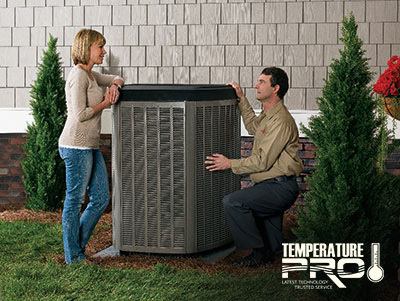 If you’re in need of any kind of home-cooling services, look no further than TemperaturePro North Atlanta. Give us a call today! Owning and maintaining an air conditioner is a long process that usually lasts well over a decade. The most important part of the journey is the start. Finding a unit that fits your home’s needs will lay the foundation for a long, successful lifetime for your unit. A properly sized unit saves you money on your energy bills and provides optimal comfort. However, contrary to the thought that bigger is usually better, an oversized unit will increase energy costs, introduce air quality issues, and lessen your level of comfort. On the other hand, an undersized unit will overwork itself and reduce its lifespan in the process. Our trained staff will calculate the amount of cooling capacity your indoor space requires to maintain your desired level of comfort, and we will work with you to find the perfect choice among our many options. You’ll feel the benefits right away. Regardless of what puts you on the hunt for a new AC system, make sure you go with the team you can trust; make sure you go with TemperaturePro North Atlanta! Central Air Conditioner: The Central AC has been a staple of American life for nearly a century. This system is reliable, efficient, and backed up with years and years of trust. You can count on a Central AC to keep you and your family cool during the hottest summer temperatures! Heat Pumps: When it comes to cooling, heat pumps are great options for a climate like Atlanta’s that rarely falls below 40 degrees. Heat pumps can work both ways; they can heat or cool depending on which direction you pump the heat. They also have the added benefit of functioning without burning fossil fuels. Packaged Units: When ground space is limited, packaged units can be the perfect choice; they offer a great option for rooftop systems. 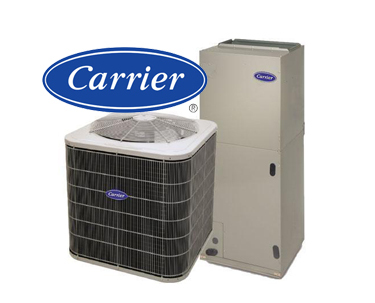 Packaged units include a condenser and air handler in a single cabinet and are available in straight AC, heat pump, and gas-electric models. Ductless AC Units: Efficiency is the biggest benefit with this type of unit. They are perfect for small spaces, such as apartments, single-room living spaces, or additions to the house. Ductless AC units are also capable of working both ways to keep their owners either warm or cool. Repair and maintenance services are among the most important services we provide here at TemperaturePro North Atlanta. Repair services are crucial because outages mean extreme discomfort. In fact, unit outages during peak temperatures can pose a hazard to your health. With this in mind, TemperaturePro North Atlanta provides fast, affordable repair services that will correct the problem and have your unit functioning properly again in record time. Taking it one step further, we like to be proactive and stop the problem before it starts. We do that with excellent maintenance plans that will extend your unit’s life and save you money in the short and long term. One of the ways you save money is by avoiding major repairs; our technicians spot minor issues before they become major problems in need of repair. You also save money by optimizing your system, which subsequently lowers your monthly energy bill. Don’t forget to add in the peace of mind customers get by having their unit diligently cared for. With all of these reasons, there’s no reason you shouldn’t take advantage of one of our comprehensive maintenance plans. TemperaturePro has everything you need when it comes to cooling services. 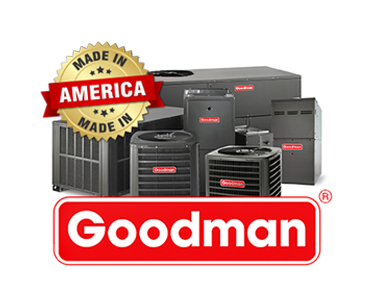 We install, maintain, and repair everything you’ll need to keep cool during the hottest parts of the year. We understand how important your in-home comfort is, and you’ll see that first hand when you give us a call. Don’t hesitate; choose to stay cool by calling TemperaturePro North Atlanta today! It is essential for an HVAC company to keep its customers warm. At TemperaturePro North Atlanta, we provide our customers with several different products and services to find the perfect match for your home and lifestyle. We provide everything from installation, maintenance, and repair to a number of products guaranteed to keep you warm when it’s cold outside. You can count on the team at TemperaturePro® North Atlanta to take care of your HVAC-related needs today! Installing the right heater is crucial to a positive HVAC experience. A trained TemperaturePro® technician will calculate the amount of heat your home needs to stay warm and will work with you to find the perfect choice among our many options. Once the match is made, the installation process will be fast and easy so that you can enjoy the warmth of your home. If you happen to find yourself having a hard time making a decision, give us a call. We’d love to help you out! Maintenance is essential to responsibly owning an HVAC system. Much in the same way that you seek regular maintenance for your car, you should care for your HVAC system in a similar way. A heater that is well maintained will be in the best condition possible to function properly. If your heater is in great condition, you will see multiple benefits: increased efficiency, savings on your energy bills, and a source of heat that never lets you down. It’s important to have a solid backup plan if your unit has an unexpected outage. That’s where our reliable repair team comes in. Our team of highly trained HVAC experts will come to your location and fix your problem in a timely and affordable manner. Once the job is done, you can count on the repair to last. At TemperaturePro North Atlanta, we believe that serving our customers means looking out for them when things go wrong. You can count on us to be there when you are in need! Furnace: A natural gas or LP (propane) gas furnace is the most common option in the HVAC industry. It is relatively inexpensive, produces little waste, and maximizes efficiency. Give us a call for more information about how furnaces can help you. Heat Pump: Heat pumps pump heat into your home when you want to heat your home, but reversing valves allows them to pump heat outside of the home when you want to cool your home. They’re perfect for keeping you warm, so call TemperaturePro today for more information! Ductless AC: Ductless AC units efficiently work both ways, keeping people cool or warm. They’re also incredibly efficient and perfect for small spaces. Give TemperaturePro North Atlanta a call to find out more! TemperaturePro North Atlanta is one of the industry leaders in HVAC. We’re ready, willing, and able to show you that firsthand. Whatever it is that you need to keep warm, we will provide it to you. Add in the fact that our services are fast, affordable, and reputable, and you’re left with plenty of reasons to choose TemperaturePro North Atlanta. Call us today! Ask us how we can improve your indoor air quality now. Today’s world is all about efficiency. In order to get the most out of your system, it must be clean. Efficiency in the HVAC world means two things: clean air and energy conservation. Regular maintenance services can help save energy and produce cleaner air within the home, but if you want the best quality air possible, more must be done. Indoor Air Quality (IAQ) issues develop from improper air exchange within the home, and they can arise quickly. Increased humidity, leaks in the ducts, and lifestyle can cause all sorts of air quality issues. However, there are good solutions to combat the problem. Everyone is different, and everyone has different needs. To meet your family’s air quality needs, take a look at the IAQ products TemperaturePro® North Atlanta provides. The IAQ professionals at TemperaturePro® understand that your family’s good health is the highest priority. If you suspect your home may be suffering from substandard indoor air quality, we can develop a comprehensive strategy designed to eliminate nuisance dust, airborne irritants, and toxic pollutants. Air Purifiers: Air cleaners and purifiers eliminate contaminants directly. Imagine them as the first assault on air-quality issues. Fresh Air Ventilators: Mechanical ventilators are attached to your air distribution system and calibrated to introduce a controlled amount of fresh air into the indoor environment. As outdoor air is drawn into the system, an equal amount of stale indoor air is removed from the living area. Some models are equipped with a feature that recaptures a portion of the energy normally lost during the exchange process. UV Lamps: Harmful bacteria are a threat to your family’s health and safety. UV lamps installed in your system will zap them away with ultraviolet light. Air Humidifiers: Central humidification helps moderate the indoor temperature and improve indoor air quality. When humidity levels are too low, contaminants remain suspended in the air. By introducing a controlled amount of moisture into the air stream, these same particles sink to the floor where they are unlikely to be inhaled. A healthy humidity level will also help improve dry skin conditions and prevent wood furniture from cracking. Duct Sealing: HVAC efficiency largely depends upon having sealed ductwork. If there are leaks in your ductwork, the heated or cooled air of your system is lost before it reaches the rooms in your homes. In fact, if your ducts are not properly sealed, you can lose up to 30 percent of your system’s efficiency. Simply put, this means wasted energy and wasted money. TemperaturePro® North Atlanta’s professional duct-sealing services not only will improve your in-home comfort but also will optimize your system’s efficiency. TemperaturePro® IAQ experts work with customers to get the best indoor air quality solution for their home and/or business. TemperaturePro® understands the importance of healthy, clean indoor air within the home. Homeowners who suffer from allergies or asthma have an even bigger stake in the quality of their air. Regardless of your conditions, desires, or lifestyle, TemperaturePro® North Atlanta offers these Indoor Air Quality Services & Products to all. Call today to experience how they can make a difference in your home! Regardless of which type of HVAC system you choose, it is crucial that you take care of it properly. The most practical and most effective way to do this is through utilizing one of the many maintenance plans we provide here at TemperaturePro North Atlanta. Our team of skilled technicians will respond to your call and fix whatever problems there are quickly. You can save money, conserve energy, and prevent unnecessarily added stress by subscribing to one of our maintenance plans. If you’re serious about getting the most out of your HVAC equipment, take advantage of TemperaturePro North Atlanta’s maintenance plans. 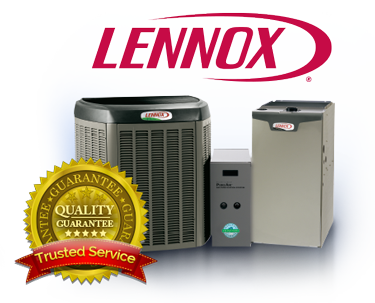 Choose our experienced repair team for all of your HVAC upkeep and repairs. HVAC systems are complex machines. When something goes wrong, it could be any of the many operating parts. Additionally, it is very difficult for the untrained eye to tell if something is wrong until the unit actually breaks. A maintenance visit is the most effect way that we keep your machine running like it should be. We’ll check out the entire system, find any small problems you might not notice, and fix them before they become major repairs. We do all of this to make sure that your unit is running effectively and efficiently like it should. Maintenance is all about prevention. At TemperaturePro North Atlanta, we like to take a proactive approach to your in-home comfort needs. This means that we find potential problems before they grow into major breakdowns. The money you’ll save on costly repairs or a completely new HVAC system will be rewarding. Though the large amount of money you save on avoided repairs can be hard to calculate, you’ll see direct benefits on your energy bill month after month. A unit that is properly maintained is more efficient and uses less energy as a result. The less money you use on energy to heat or cool your home, the more you’ll have in your pocket for other important things in your life. While there are financial benefits that maintenance plans provide, there are also intangible benefits. The peace of mind knowing that your HVAC system is well taken care of by a highly trained, professional HVAC technician is a major benefit. Regular maintenance visits allow you to sit back and enjoy your in-home comfort stress-free. TemperaturePro North Atlanta is here to have your back and protect your HVAC system with effective maintenance plans and quality repairs. We’ve dedicated our careers to delivering the best service in the HVAC industry, and you’ll see that for yourself when you choose TemperaturePro North Atlanta. Call us today! TemperaturePro North Atlanta is a full-service HVAC company that consistently delivers positive results. We highly value our customers, and we always put you first throughout every step of the process. We strive to make HVAC products and services readily available to and easily understood by all. Give TemperaturePro North Atlanta a call today to see just how important you are to us!